A leader needs a vision and a strategy. Where are we now? Where do we want to be in the future? How are we getting there? And at what expense? This last question is becoming more and more pressing. We will need a second planet Earth within 20 years if we want to maintain our current lifestyle. If we continue like this, there will be little left to lead, let alone manage, in 20 years’ time. Things must change drastically and we need innovative and connective leaders to make this change happen. 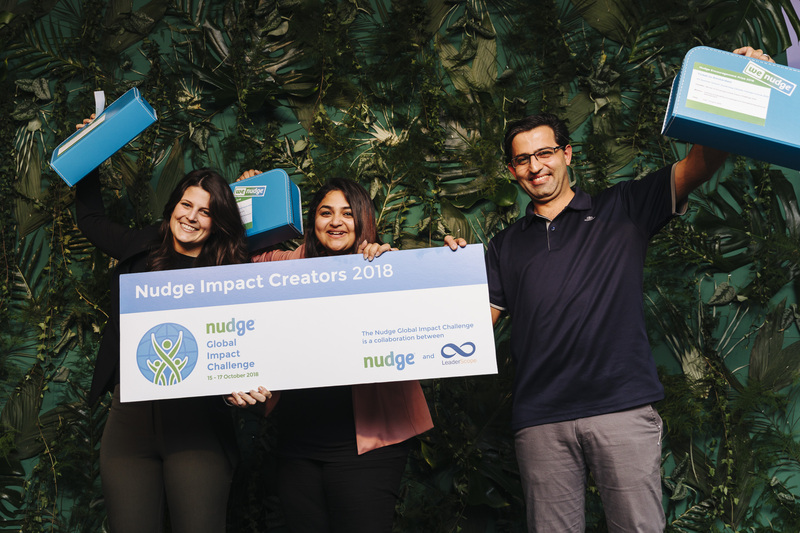 Social enterprise and B Corp Nudge has joined forces with CEIBS, our global knowledge partner, to undertake an ambitious but vital quest: the search for our world’s leaders of the future. We live in drastically changing times. The leaders of the future have to develop a deep understanding of the new reality: resources are becoming scarce, climate change is a given, fair distribution of wealth is one of the major topics. Globalisation combined with the ever faster development of technology asks for new business models and requires a whole new skill set of our future leaders. The Nudge Global Impact Challenge will provide you with a clear view on this new reality and helps you develop the skills and competencies you need to become an influencer and change maker. Nudge has developed an eight-month programme (August 2019 – April 2020) as an opportunity for young future leaders to equip themselves with the necessary leadership skills, network and publicity to realise their goals and create true impact. In August and September the participants write their impact plan and interview their CEO and other influencers. The highlight of the Nudge Global Impact Challenge is the exceptional and demanding three-day learning experience in the Netherlands (21 – 23 October 2019). The participants will be challenged to share their visions and work, to excel in debate and dialogue, to inspire with speeches and to show team spirit. On occasion they will be granted to lean back and listen to world-class speakers, after which they will sink their teeth into a global challenge, working on their Sustainability Impact Plans, and ultimately decide the three Nudge Impact Creators of 2019. After the three days in The Netherlands it is up to the participants to show their leadership and realise their impact plan with the help of Nudge and anyone else they have connected with for support in this important phase.